It’s the social revolution of the ’60s and ’70s. Seven-year-old Che has been kidnapped by a hippie named Dial Well (if “kidnapping” is a term that can be used when a child is taken to see his radical mother). 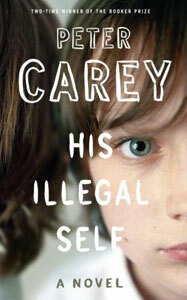 Carey, two-time winner of the Booker Prize, has written an addictive, intriguing, beautiful story about innocence—and what it means to be completely lost. His writing blends ingenious analogies, stunning imagery and lovely melodic ?ow in a fantastical story that pushes ?ction to the limit. It’s a story that is sometimes crazy, but always in the best possible way.